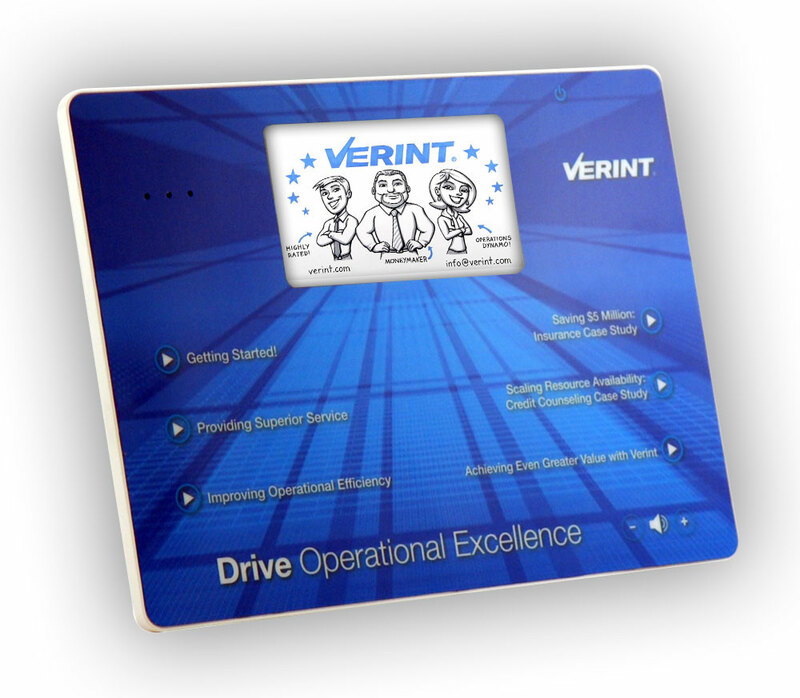 Verint Systems, a technology company that provides enterprise and intelligence solutions, needed a unique B2B development tool to help their senior sales reps schedule appointments with their Top 200 prospects. The current marketing materials were not breaking through and didn't enable their reps to get in front of critical prospects. Americhip used its Video Slate Technology to create an innovative, state-of-the-art direct mail piece. 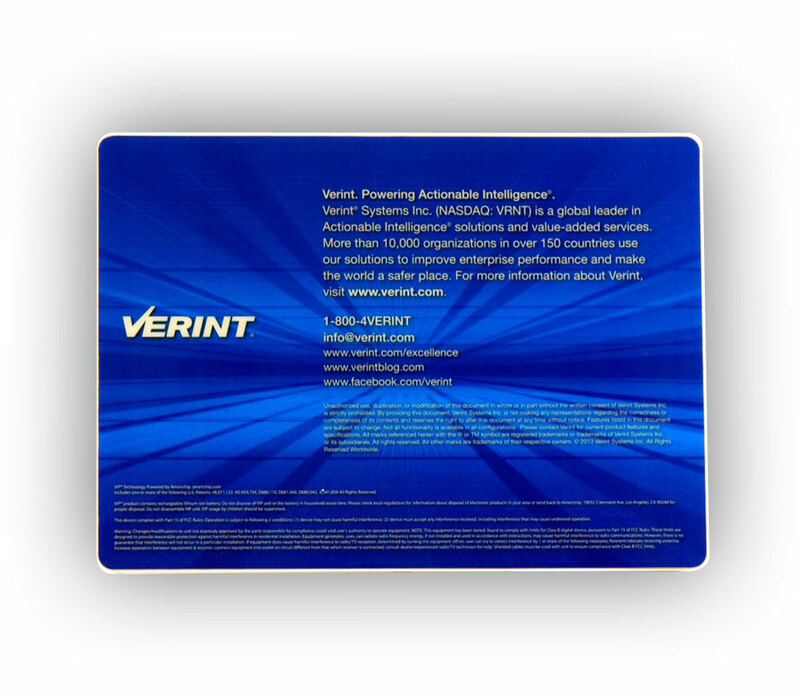 The fully-branded digital device had a sleek profile and incorporated our 4.3” LCD Screen into our patented design. 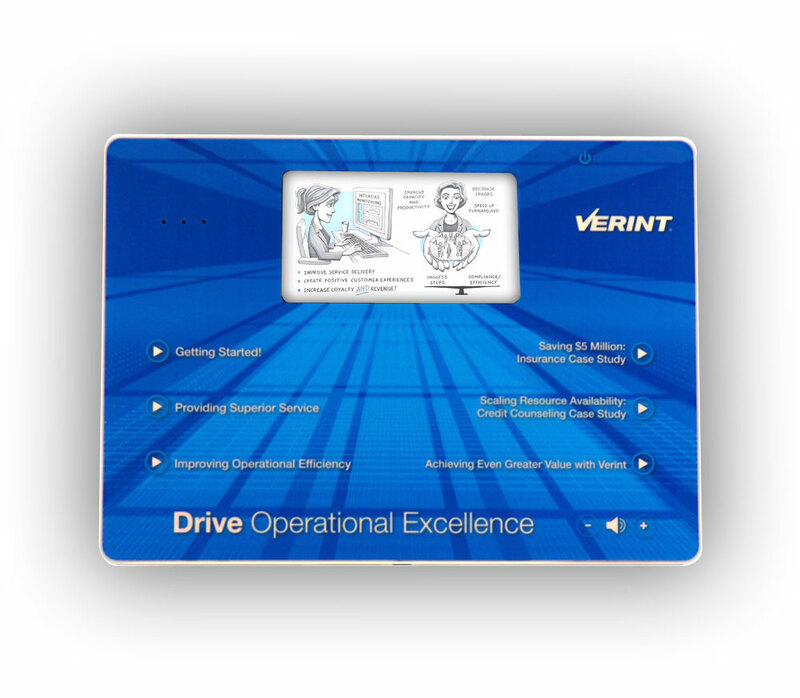 Americhip programmed the video content across 6 chapter buttons, each highlighting a core Verint product and service. Senior Management was impressed with the performance of the innovative mailers which allowed their sales team to break into sought after accounts, including a key account their team had never been able to connect with.